Westword – Denver CO 2013. Best Steampunk Opera Award – Luminous Thread – Inventing Earth project “Queen Victoria’s Floating Garden of Secrets & Natural Wonders” wins award. Westword – Denver CO 2012. 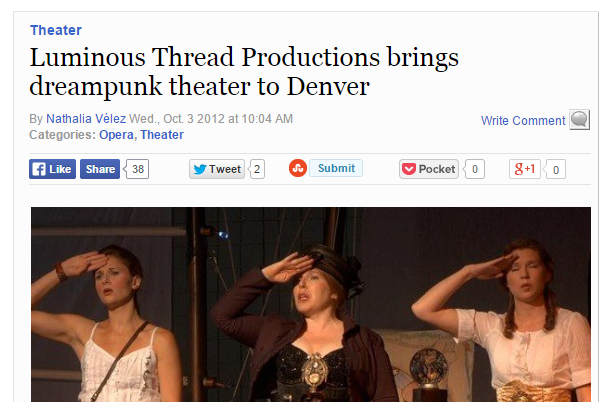 Luminous Thread Productions brings dreampunk theater to Denver. Kudos Art Magazine – Prescott AZ 2012. 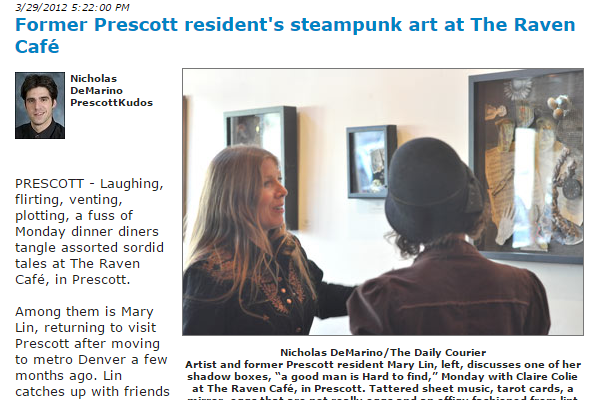 Art Review: Mary Lin’s steampunk art works, solo show at The Raven Café. Daily Courier – Prescott AZ 2010. Article on the first public reading of the libretto, or play, from The Greenest Branch, with puppets and music. 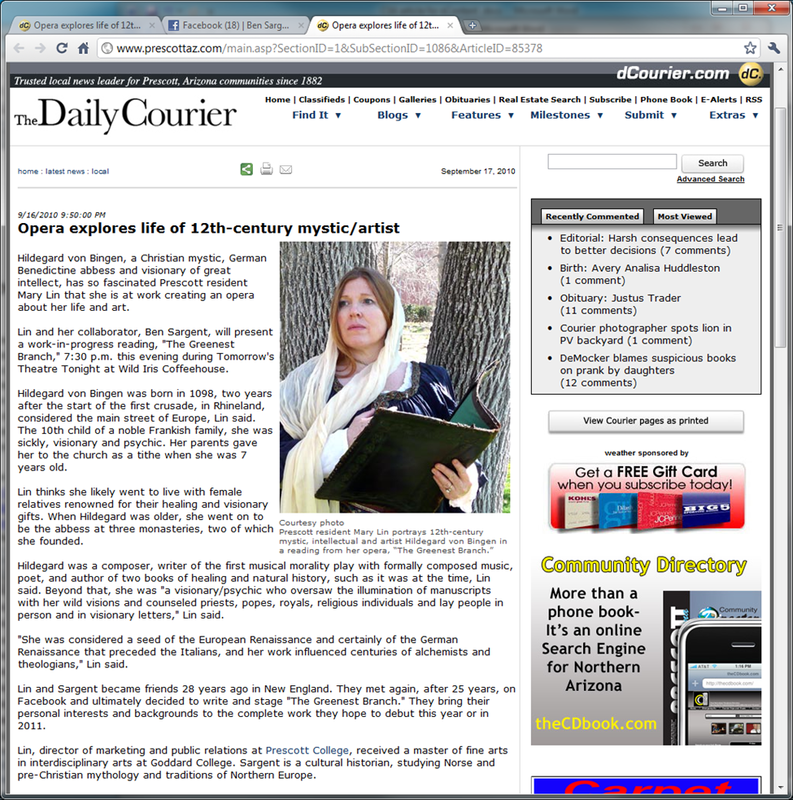 Daily Courier – Prescott AZ 1999. Article: Mary Lin teaches dancing from the molecular level.